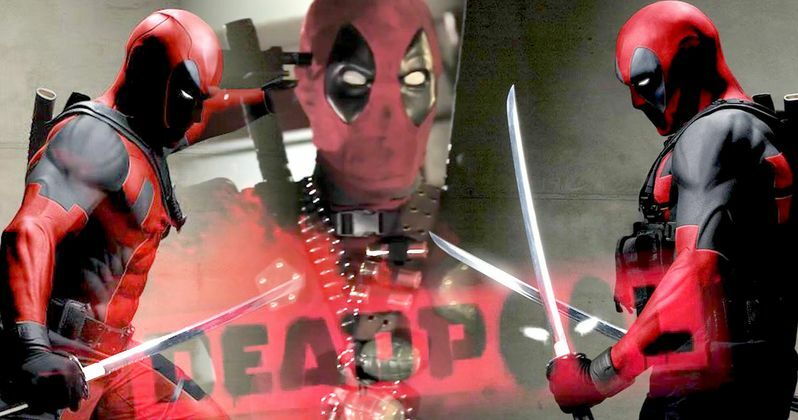 Thanks to camera-happy fans in Vancouver, Canada, we're getting to see the Marvel adaptation Deadpool come to life before our very eyes on an almost daily basis. We've already seen plenty from this action-heavy movie set as star Ryan Reynolds and his filmmaking team take over the Georgia Street Viaduct. We've even gotten our first glimpse at two X-Men mutants as Colossus and Negasonic Teenage Warhead shot scenes over the weekend. Now, we get three more fan-made videos, and they contain some epic action. The first video shows Ryan Reynolds and/or his stunt double being hoisted in the air and slammed hard into the side of a car. It's a fun action moment, but not quite as cool as the next sneak peek. In the second video, we get to see an unidentified dancer who performs a pretty cool break dance and backflip, proving that this is one agile anti-hero. Ryan Reynolds is also on the scene, watching as his beloved Marvel character comes together as a collaboration. The third and final video simply cannot compete with the first two, as it only shows Ryan Reynolds in full-costume aiming his gun at a car on the bridge. Been there, seen that! Based upon Marvel Comics' most unconventional anti-hero, Deadpool tells the origin story of former Special Forces operative turned mercenary Wade Wilson, who after being subjected to a rogue experiment that leaves him with accelerated healing powers, adopts the alter ego Deadpool. Armed with his new abilities and a dark, twisted sense of humor, Deadpool hunts down the man who nearly destroyed his life. Take a look at the latest video as this long-awaited movie pulls itself together. Is this going to be the best superhero movie ever made? It certainly looks like its trying very hard!